CHILE! 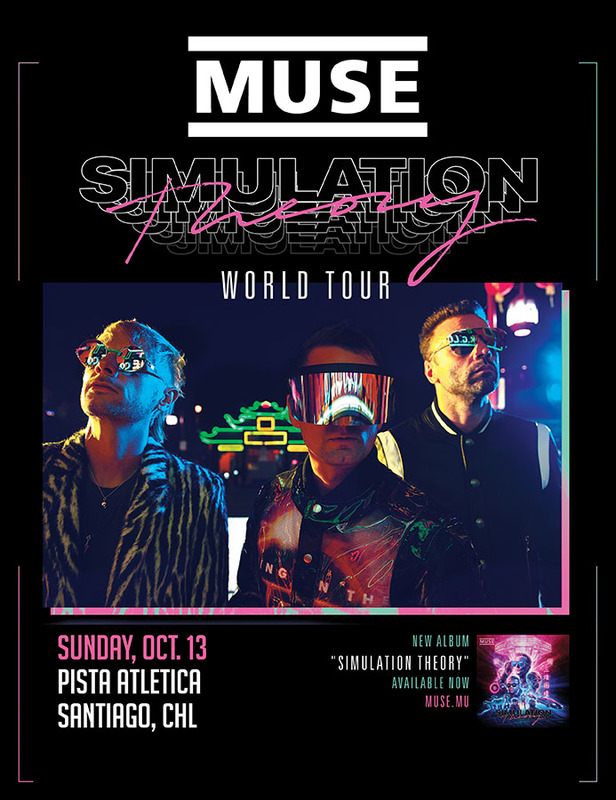 Muse are pleased to add Santiago at the Pista Atletica to the Simulation Theory World Tour on 13 October 2019. Official Store pre-sale starts 12 March at 10a local. Codes will be delivered today via a separate email for fans who pre-ordered Simulation Theory via the Official Store. General on sale starts 15 March at 11a local. View all tour dates here.